The Florida Apartment Association is pleased to announce the addition of Amanda Gill to the FAA team in the role of government affairs director. Gill has extensive experience working with elected officials and stakeholders to achieve goals at the local, state, and federal level. She began her career in Washington, D.C., where she directed a policy portfolio and communications platform for members of the U.S. Congress. She acquired local government expertise when she expanded the voter outreach program for the Brevard County supervisor of elections during the 2014 general election cycle. She later gained a passion for the multifamily industry and a strong sense of its unique public policy concerns while serving as the public relations and communications director for the Apartment Association of Greater Orlando from 2015-2016. 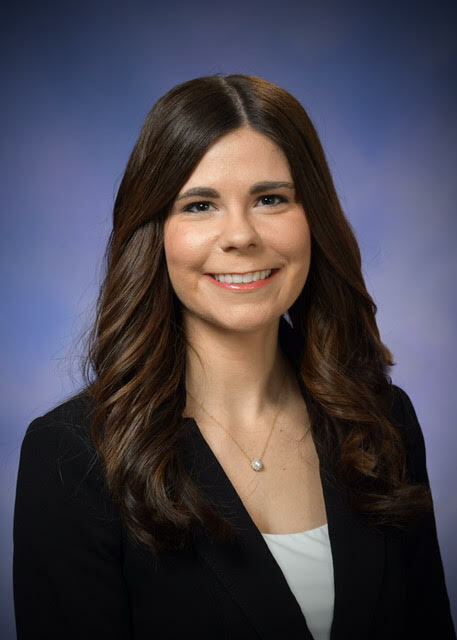 Prior to joining FAA, Amanda was an adviser in the Michigan legislature, where she directed the legislative and appropriations process on behalf of the speaker of the house. Amanda holds a bachelor’s degree in political science from Hillsdale College and a master’s degree in government from Johns Hopkins University. The FAA Leadership Lyceum works to identify emerging multifamily housing leaders who are dedicated to the mission of the Florida Apartment Association and its local associations. The course consists of three modules designed to inform students about the association and how they can serve as leaders in moving the association forward. What made you decide to participate in FAA’s Leadership Lyceum? Gina: I heard about Leadership Lyceum for years and always wondered – what is that? Why do it? How can that help me in my current field? So, I decided, along with the encouragement from my asset manager, to take the leap and explore what Leadership Lyceum was all about. I have always thought of myself as a natural leader not only of my team, but also in my community. What better way to influence others and strengthen my skills than through the Florida Apartment Association? Jessica: I’m a new board member on SCAA. Courtney: I wanted the opportunity to grow my leadership skills and take my education to another level. What skills did you develop or improve through your participation in the program? Gina: Knowledge is power. Having knowledge about how our local and state boards function within the apartment associations is invaluable. When you know what you are doing and where you are going, the sky is the limit! I never had much of a concern for politics and why they matter, but I feel this is one of the most useful topics covered within the Lyceum. Jessica: The proper protocol of meetings. Courtney: The Leadership Lyceum helped me to think outside the box and refine my problem-solving skills. I've also improved my ability to communicate with others. Which module taught you something new that you’ll use in your career? Gina: I learned that a PAC – political action committee – is not just donating money to a cause. It’s really more than that – rallying together as a local community and even more so at the state level, and reaching out to politicians who can make a difference. You can truly make a difference with regard to topics that could severely impact our industry, our jobs, and our personal well-being. I have enjoyed the last two years heading to Tallahassee for the FAA Legislative Conference and will continue to do so in the future! Jessica: The legislative module was very informative! I loved the speakers who came in, especially the Orange County property appraiser! Courtney: All of the modules definitely expressed the importance of team-building when it comes to problem-solving. We solve problems and find solutions when we work together and use all of our skills for the team's benefit. What surprised you the most about Leadership Lyceum? Gina: I would say what surprised me the most about Leadership Lyceum was the fact that there were so many people in the same boat as me. Don’t ever be afraid to ask if you don’t know about something in general, but more specifically as it pertains to your local board if you are a participating member. You don’t know what you don’t know – so just ask! Jessica: How much fun it was! The team builders were excellent. Courtney: Surprisingly, I didn't expect to learn so much about governance. I have a newfound passion and interest for governance and legislature that I previously didn’t have before. Lyceum did a phenomenal job of bringing in guest speakers to elaborate more on the topic. Having been on the Legislative Committee and a part of Lyceum has certainly opened my eyes to this side of the world. What is your favorite memory from Leadership Lyceum? Gina: Passing the gator – at the end of every session we had takeaway messages that we would share by “passing the gator.” I am not a Florida Gators fan, but it was funny! Jessica: The marshmallow team builder and Orange County property appraiser presentation. Courtney: I have several favorite memories. One of my favorite memories is Rick Singh speaking about real estate trends. That was cool and I learned a lot about the Orange County market. I enjoyed the data. I also enjoyed the speaker in Module III who did the Whole Foods vs. Cracker Barrel demographics comparison of voters— that was very interesting. But overall, my favorite part was the opportunity to learn and grow alongside our multifamily peers. I feel like we are all a family now because we were in this together. Lastly, another unforgettable guest speaker was (now state Representative) Anna Eskamani. Wow, what a true inspiration she is. She left such a big impression on me that I am now encouraged to run for office one day. What would you tell a future Leadership Lyceum student, or someone considering the program? Jessica: Get more involved. The associations are only as good as the people participating. If you don’t like the events being hosted, how funds are being used, etc., the only way those things will change is if you get involved. Courtney: I would tell a future student to apply as soon as you can. You won’t regret this decision because of the information you will learn and the new perspectives you will have on the industry as a whole. If I could do it all over again, I certainly would. It is well worth the investment. The Florida Apartment Association is seeking educational session proposals for the 2019 FAA Annual Conference & Trade Show. FAA wants to provide its members with educational and innovative speaker sessions that will actively engage and inform members. Speakers and sessions should stimulate discussions and address topics that directly impact members and all aspects of the multifamily industry. The 2019 FAA Annual Conference & Trade Show gathers multifamily industry professionals from across the state to engage in three days of educational sessions and events. The conference will take place October 2-4 at the Hilton Orlando Bonnet Creek in Orlando, Fla.
Conference attendees include property managers, leasing agents, executives and staff from management companies, maintenance professionals, and industry suppliers. Members attend to improve their careers through professional development and peer collaboration. This is your opportunity to showcase your ideas to your peers and potential clients! FAA is focused on how individuals and ­companies can stay relevant through professional growth and development, no matter their experience or career level. FAA wants to provide sessions with practical solutions to common challenges that will have long-term career value. Attendees should be able to return to their organizations with a fresh perspective and the ability to implement change based on the knowledge they’ve gained through each session. Supplier companies are encouraged to participate, but may not submit any promotional or advertising material. The proposed topic must be educational and relevant to the multifamily industry without explicitly promoting your company. In addition, supplier presentations should include one or more multifamily professionals to offer a management perspective. All submissions for sessions and speaker proposals must be submitted online by 11:59 p.m. on Friday November 30, 2018. Incomplete, late, or promotional submissions will not be considered. Speakers will be selected and notified mid-February 2019. Selected presenters will be compensated with conference registration and housing accommodations. If you have any questions, contact Ralph Robinson at ralph@faahq.org or call FAA headquarters at 407-960-2910. If you missed the fall issue of Multifamily Florida, you may also view the entire digital version here. After two years of massive hurricanes pummeling Florida's housing stock, lawmakers are again going to consider whether to allow millions of dollars in sweeps from trust funds set up to build affordable housing. Legislation (FL SB70 (19R)) filed last week by state Sen. Kathleen Passidomo (R-Naples) would add the State Housing Trust Fund and Local Government Trust Fund to the list of funds that can't be raided to help pay for other areas of the budget. A so-called "trust fund sweep" happens each year as lawmakers raid trust funds designed for a specific activity to cover other areas of the budget that become priorities. After Hurricane Irma hit much of the state, including important low-income housing in the Florida Keys, senators pushed to end raids of the housing trust fund, but that effort fell apart after the Legislature needed to fund a massive school safety bill after the Parkland shooting. State lawmakers last session ultimately swept more than $180 million from state trust funds to help boost other areas of the budget. Lawmakers will now consider banning such sweeps after a second devastating storm. Hurricane Michael smashed into the panhandle in October, leaving many without housing. Passidomo filed a similar bill last year, noting that Florida's housing trust funds are "national models — they work, but only to the degree that they are funded." Her co-sponsor last year was former state Rep. Sean Shaw, a Tampa Democrat. Plan now for the 2019 Florida Apartment Association Annual Conference & Trade Show — Beyond Orbit: Infinity Possibilities, October 2-4 at Hilton Orlando Bonnet Creek. Relive the 2018 event, and then download the 2019 FAA Prospectus. The prospectus describes sponsorship opportunities for the 2019 FAA Annual Conference & Trade Show and beyond, and provides details for companies that wish to exhibit. February 8: Platinum/gold/silver sponsorship signed commitments are due. March 15: Exhibit space selections begin for all 2018 exhibitors. March 22: Exhibit space selections begin for all other suppliers. For details, download the prospectus at faahq.org/prospectus. 5 – 6 p.m. at the Hotel Duval, 415 N. Monroe St., Tallahassee, FL 32301, in the Opal Ballroom (lower lobby level of the hotel).